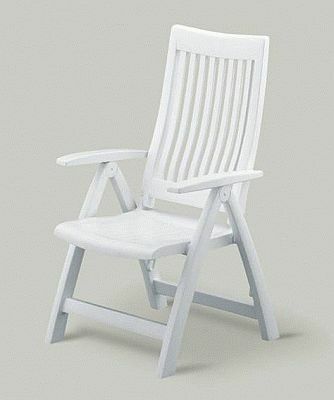 The Roma Poolside Chair is constructed of high impact resin material. It reclines in 4 positions to give you the best in comfort. It folds up for compact storage and is lightweight for easy handling. 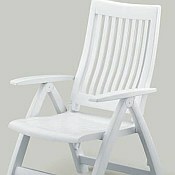 The contoured backing allows you to rest comfortably and enjoy the pool. Dimensions - 24" W x 41" H - seat depth 21"